We want pictures. Fun and creative pictures. Game-related pictures! Get whimsical, get crazy, surprise us! We’ll pick our five favorite pictures and then randomly draw a winner which will be announced in a special anniversary post on June 1st. You can send your pictures to podcast@dicehateme.com or post the pictures to the wall on the Dice Hate Me Facebook page. Just as we mentioned on the podcast, pictures posted to Facebook might get bonus points. Unofficially, of course. The deadline for picture submissions is 11 p.m. EST on Sunday, May 29. So get out there and get snapping! 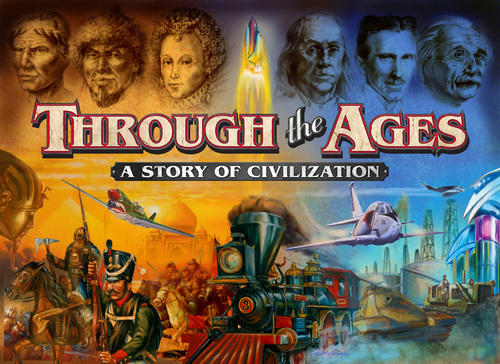 Because Through the Ages is such a massive game, and shipping costs overseas would be prohibitively expensive, this giveaway is only available to those in the US and Canada. But we love our international audience! Since we can’t ship a game to you, we can do the next best thing: give you money to buy a game in your home country! That’s right, we’ll also pick an international winner and they’ll receive a $30 give certificate to the online game store of their choice! We’d like to thank Gryphon&Eagle Games for their generosity. If you’d like to thank them, as well, follow them on Twitter. They like to give away free stuff quite a bit, and you’ll be connecting to a great company that supports board games and the people that love them.